A policeman in Mintal, Davao City, was arrested on Monday evening after he shot and killed a driver he accused of stealing his motorcycle in Barangay Mintal, Tugbok, Davao City. Tugbok police Chief Inspector Ireneo Caburnay identified the suspect as 33-year-old Jozel Salgon Jorolan, a member of the Davao City Public Safety Battalion’s Rapid Deployment Platoon under Davao City Police Office. The victim was identified as 49-year-old Mario Israel Magno, a tricycle driver, of Barangay Ula in Tugbok District. Police said the incident happened at 7.45pm at the tricycle terminal in Mintal, in front of a bank – a famous intersection of Mintal. Reports say the bank’s security guard said that the suspect parked his motorcycle in the area – the motorcycle slipped on the ground after the cop walked away, but appeared to have not been seen by the suspect who just left it behind. The victim, who saw the motorcycle slip from it’s spot, picked the motorcycle up – when the suspect saw this he shot Magno believing the victim was stealing his motorcycle. 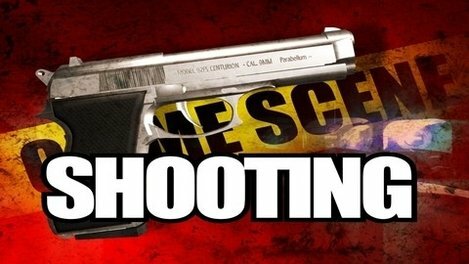 Caburnay said the victim died of multiple gunshot wounds – a total of 23 cartridges were found at the scene – though police are unsure all of them came from the suspect. The suspect was about to flee but was immediately arrested by authorities in the area – recovered from his possession was a Glock 17 pistol – an empty magazine and an additional magazine loaded with seven live bullets and one in the chamber. The officer is being detailed at the Tugbok Police Station while police prepare charges to be filed against him. Davao Police Regional Office spokesperson Superintendent Antonio Rivera said Tuesday that the Tugbok police have been ordered to deepen their investigation on the incident. “Most probably, he [Jorolan] would be facing criminal charges for murder and administrative charges for grave misconduct.” Rivera said. Rivera also said that even if the police officer thought the victim was taking his motorcycle, there is no reason for Jorolan to immediately shot Magno without asking him first. He added that murder is a non-bailable case.